* Order includes an immediate download of the release. 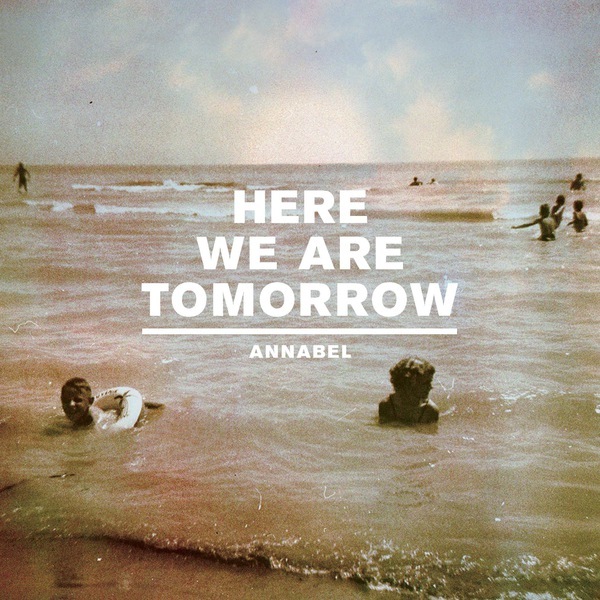 Beginning with the wonderfully charming debut EP, Now That We’re Alive, and continuing with the acclaimed 2009 full-length, Each And Everyone, the past three years have found Annabel carving out an exceptionally noteworthy existence for itself within the underground scene. Cranking out richly textured indie-pop tunes, skewed by punk’s rough-around-the-edges urgency and tightened by the DIY community within which the band operates, the Kent, OH quartet has been winning over fans, peers and critics alike with heartfelt songs that are straightforward and immediate enough to be considered catchy yet complex and nuanced enough to warrant careful repeat listens. Continuing that trend, but ratcheting up the the immediacy quotient tenfold and tapping into an even more aggressive punk spirit, Annabel’s newest five-song offering provides a seemingly endless supply of exclamation point moments. While it’s unclear where where time will rank Here We Are Tomorrow amongst the band’s catalog, it unquestionably establishes itself as the juncture when we stopped putting Annabel into the “consistently great” category and promoted it to the “frequently amazing” subset. “The Forgetting Of Names And Faces” kicks off proceedings with a scratchy, upbeat riff and and some of Annabel’s most infectious melodies to date. 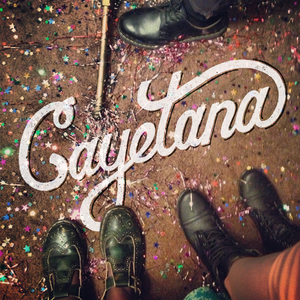 The song is propelled by a driving, almost-bouncy rhythm section and signature moments such as a chorus of joyous backing vocals and dynamic guitar lines retain a strong presence the mix. 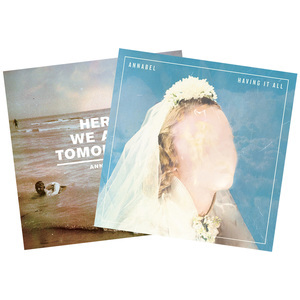 Without missing a beat, “Repetition, Etc.” and “We Came As Today” – crashing dynamics, soaring harmonies and “whoa oh oh’s” abound – tear through the middle part of Here We Are Tomorrow while closer “Summer Health” makes a strong case for being the band’s most complete offering to date. It’s a mix of Annabel’s most sweetly innate qualities and the formidable talents they’ve developed along the way: engrossing melodies, a kinetic, pulse and an underlying warmth and honesty that simply can’t be faked. 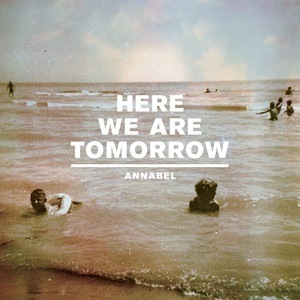 It’s clear that Annabel has blossomed into a singular songwriting force and fully intends on making a definitive statement with Here We Are Tomorrow … and that statement resonates longer and more emphatically than ever before with these four magnetic tracks. Here We Are Tomorrow was produced, recorded and mixed by Ben Hendricks at Cerulean Studios in Kent, OH and was mastered by Tim Gerak at The Mammoth Cave Studio in Akron, OH. 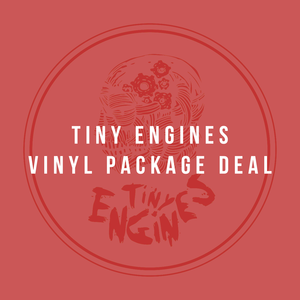 Tiny Engines will release the 7″ on December 14, 2010 in both vinyl and digital formats. Each Copy of the EP will contain a free mp3 download code for all the songs, including a 5th digital-only bonus track which was blessed by the high priestess of the Immaculate Unicorn in a marriage ceremony between two bearded garden gnomes. Select... $15.00 — Five 7" $14.00 — Four 7" $12.00 — Three 7"
Select... $14.00 — Blue/White Marble LP + Opaque Tan 7" (Unavailable) $14.00 — Blue/White Marble LP + Clear Light Blue 7" (Unavailable) $14.00 — Blue/White Marble LP + White 7" (Unavailable) $14.00 — Blue/White Marble LP + Clear 7" (Unavailable) $14.00 — Opaque Violet LP + Opaque Tan 7" (Unavailable) $14.00 — Opaque Violet LP + Clear Light Blue 7" $14.00 — Opaque Violet LP + White 7" $14.00 — Opaque Violet LP + Clear 7" $14.00 — Black LP + Opaque Tan 7" (Unavailable) $14.00 — Black LP + Clear Light Blue 7" $14.00 — Black LP + White 7" $14.00 — Black LP + Clear 7"